With only a few days left to go until Christmas, we thought it would be fitting to detail how we like to celebrate. Frugality, family and fun are at the top of our list for the Christmas season! I am one of four children and Poopsie is one of two. When spouses are added in, we have approximately ten adults to celebrate with. Poopsie of course has three children, and he also has a niece and a nephew. This year, I became the proud aunty to two nephews. All totalled, we have seventeen members of our immediate family. 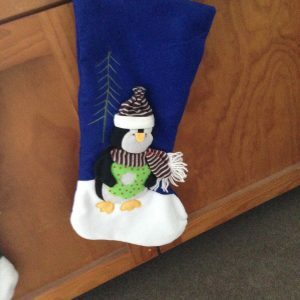 A few years ago, I convinced my family to do Secret Santa. At that stage, there were no children on the scene, so it made a lot of sense. After a year or two, it started to become an exchange of gift cards so in a bit of a Grinch move, I opted out of participating. This year however, my family decided to do things a little bit differently. All gifts had to be purchased from a Goodwill store. Poopsie and I liked the sound of this, so decided to participate. As Poopsie’s family is a lot smaller, we give gifts to everyone. While we want to participate in the fun and enjoy giving to our families, we also want to do so frugally. I start my Christmas shopping as early as possible, keeping an eye on sales to take advantage of and where I can, I utilise gift cards. We try as much as possible to provide our families with suggestions of things we would like to receive. This is in an attempt to ensure they are not wasting their money and we are not accumulating clutter. When you plan to sell everything in six years time to pursue full time travel, the less you acquire in the process, the easier it will be. A close up of our tree with the Star Wars ornaments I brought to the relationship. This year is actually the first Christmas Poopsie and I are spending together. We have managed to be apart for the last two Christmas periods and we’re very excited to finally be spending it with each other. Luckily, both of our parents live within an hour of us. This year we are spending Christmas Day with my family and Boxing Day with Poopsie’s family. 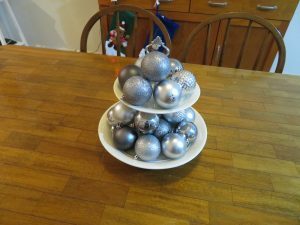 The baubles in this stand are the only Christmas decorations we purchased this year. Wanting to create our own traditions together, Poopsie and I will celebrate as a couple on Christmas Eve. We will cook a delicious meal, exchange some small gifts and attend Midnight Mass. We’ll then get some sleep and travel to my parent’s house Christmas morning to celebrate with my entire family. On Boxing Day, we’ll do the same with Poopsie’s family before returning home. We’re both really looking forward to it. Poopsie and I wish you all a very Merry Christmas, a Happy Hanukkah or a wonderful seasonal break. We look forward to continuing our blogging journey with you all in 2017. We will be taking a short break over the Christmas period and will be back with new posts in January! 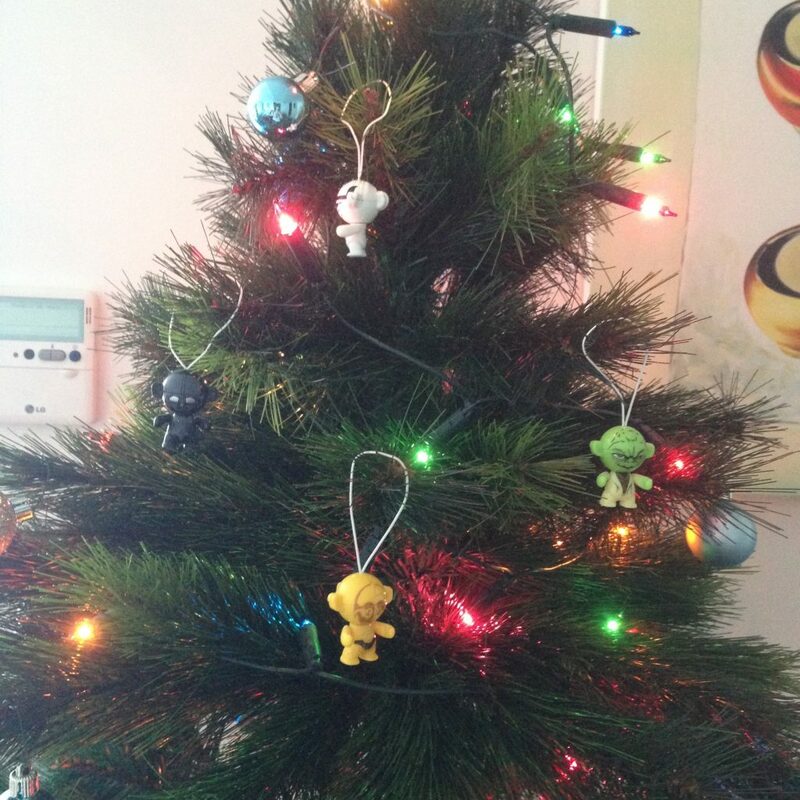 … “with the Star Wars ornaments I brought to the relationship.” Yep, Poopsie, she’s clearly a keeper! Merry Christmas to you both, enjoy your first Christmas together. 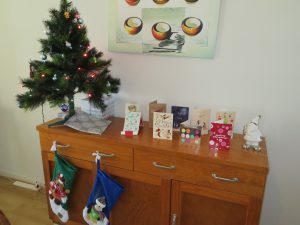 I love the idea of buying the secret santa from goodwill stores – very good thought. Congrats on spending your Xmas together! We also do our Christmas shopping early, in-fact we’re shopping all year round haha. You never know when that awesome present will show up!